A regular meeting of the Board of Selectmen on Tuesday, April 28, started at 6:00 pm in the sixth-floor meeting room at Town Hall. This was the last meeting for retiring board chair Ken Goldstein, first elected in 2009, and for retiring board member Betsy DeWitt, first elected in 2006 and chosen as board chair in 2010 through 2013. On Tuesday, May 5, voters will elect two new board members among five candidates: town meeting members Merelice of Precinct 6, Bernard Greene of Precinct 7, Nancy Heller of Precinct 8 and Pam Lodish of Precinct 14, and Larry Onie, a Marshall St. resident. Mr. Greene, Ms. Heller and Ms. Lodish were members of the Advisory Committee until they decided to run. Ms. Heller and Ms. Lodish are also former members of the School Committee. Mr. Onie was a member of the former Human Relations and Youth Resources Commission. 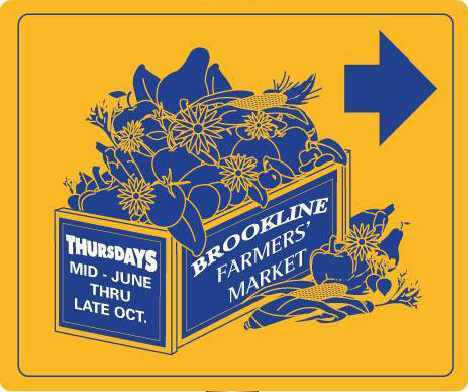 Farmers’ Market: The board approved an agreement allowing the Brookline Farmers’ Market to use the smaller Centre St. parking lot Thursday afternoons from June 18 through October 29, 2015. Succeeding Arlene Flowers as market manager after 20 years are three co-managers: Abe Faber, an owner of Clear Flour Bread on Thorndike St., Kate Stillman, of Stillman’s Farm in Lunenberg and New Braintree, and Charlie Trombetta, of Trombetta’s Farm in Marlborough. The market association pays $2,500 a year to rent the space for 20 Thursdays. Andy Martineau, an economic development planner, presented a concept proposed for Brookline wayfinding signs. It was developed by Favermann Design of Boston as part of a $0.02 million contract awarded by the Board of Selectmen last September. So far, the proposal has not appeared among the Planning Department’s economic development files on the municipal Web site. 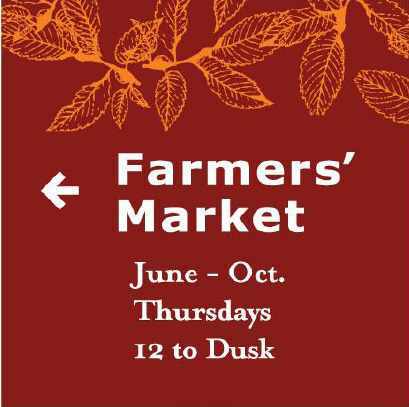 As the example for Brookline Farmers’ Market shows, wayfinding signs would all become rust-colored with uniform lettering and no graphics. The proposal was released at a meeting of the Economic Development Advisory Board on March 2. Minutes say members of that group reacted to “monolithic appearance” and lack of “iconic” symbols for organizations such as Rotary. Members of the Board of Selectmen had concerns that lettering might be too small to read from a moving vehicle. Faint leaf outlines across the tops might look like graffiti to some. Personnel, contracts and finances: After a long series of personnel reviews, Daniel O’Leary, the police chief, won approval to promote Andrew Lipson from lieutenant to deputy superintendent, Kevin Mealy from sergeant to lieutenant and Brian Sutherland, Russell O’Neill and Andrew Amendola from patrol officer to sergeant. Mr. Lipson will become head of the Patrol Division, sometimes a station to heading the department. Brookline has an increasingly educated police department. Of those promoted this time, four have master’s degrees in criminal justice and other fields, and the fifth is currently in a master’s program. At least one member of the force has a PhD. This has not led to any lack of practical effectiveness. To the contrary, most crime counts have continued to fall, year by year, and the town has remained free of ugly incidents. Paul Ford, the fire chief, got approval to hire seven firefighters to replace ones who have retired, left the department or died. Stephen Cirillo, the town’s finance director, was reappointed to the Retirement Board as a management representative for three years. Anthony Guigli, a building project administrator, got approval for $0.06 million in added improvements at old Lincoln School, preparing to house part of Devotion School during renovations and expansion. Although not in regular service as a school since 1994, old Lincoln has become temporary quarters for Town Hall, the main library, the health department and several other schools during renovations. 2022 U.S. Open in golf: The board considered negotiating with the U.S. Golf Association (USGA) about holding its 2022 U.S. Open at The Country Club, potentially using parts of Putterham Meadows and Larz Anderson in support. USGA of Far Hills, NJ, had contacted the town. The board’s chair, Ken Goldstein, who retires from the board after this meeting, is an avid golfer. Other board members were not as enthusiastic. “Right now I’m quite a skeptic,” said Nancy Daly. The club hosted the U.S. Open in golf three times before: in 1913, 1963 and 1988. As board members recalled, the last comparable event was the Ryder Cup in 1999. David Chag, general manager of the club since 1987, said the club provided $0.5 million from that event to start a fund for Brookline youth programs and has been raising about $0.05 million a year for the fund since then. Board members asked about any plans for 2024 Olympics. Mr. Chag said there had been a contact about a year ago but no follow-up. He was surprised, he said, to see the club described as a potential site this winter. The board voted 4-0-1 to set up a task force to negotiate with USGA, Ms. Daly abstaining. Mel Kleckner, the town administrator, promised to keep board members informed. Lloyd Gellineau, Brookline’s chief diversity officer, asked to reconvene a memorial committee on the Holocaust, last an active project about 20 years ago. He has located recordings of about 90 hours of interviews with survivors, archived but never made available to the public. Harvey Bravman, a Newton resident, actor and media producer, has collaborated with Dr. Gellineau in investigating and indexing the archive. The board agreed to reconvene the inactive committee. Town meeting issues: After budget controversies raised by the Advisory Committee, the board asked Melissa Goff, recently appointed deputy town administrator, for a review of financial reserves and of ways to meet costs of snow clearance last winter. Ms. Goff said the overrun against funds appropriated for snow clearance had reached about $3.4 million. Current plans are to apply about $1.6 million from the general reserve fund and $1.1 million from balances in overlay funds from 2009 and prior years. That leaves about $0.7 million to be made up from other sources. Contrary to hopes of some Advisory Committee members, overlay balances will not be enough to help restore proposed cuts in municipal services. The board voted to reconsider Article 7 for the spring town meeting, on budget amendments, but did not propose new actions under the article at this meeting. The board did review its recommendations on Article 8, the budget for the 2016 fiscal year starting in July. Members are continuing to support the financial plan presented by Mr. Kleckner February 17, with one change. They will recommend increasing the Health Department budget by $26,000 to support mental health, balancing that with $10,000 from estimated parking revenue and $16,000 from reduced estimates for energy spending. The board also reconsidered its recommendation on Article 9, which would make elected federal and state officials living in Brookline automatic members of town meeting. Stanley Spiegel, a Precinct 2 town meeting member and a member of the Advisory Committee, proposed instead to make these officials “honorary town meeting members,” non-voting but welcome to participate in town meeting debates. Apparently hoping to head off another simmering dispute with the Advisory Committee, the board supported that approach. A recommendation about Article 19 had been deferred. It proposes a resolution against Olympic games in Boston. No representatives of the pressure group pushing for the Olympics showed up last week, and the board decided to reach out to them, but no one came to this meeting either. The board voted to support Article 19. Favermann Design, Wayfinding signs, Brookline Department of Planning and Community Development. Not posted online as of April 29, 2015. This entry was posted in Business, Elections, Events, History, Information, Meetings, People, Public health, Services on April 29, 2015 by Craig Bolon. The Neighborhood Conservation District Commission met Monday, April 27, in the fifth-floor meeting room at Town Hall, starting at 7:00 pm. The key item on the agenda was a draft of procedures and policies. Greer Hardwicke, a preservation planner who provides staff support, returned after an extended absence to warm welcomes. With chair Paul Bell absent, commissioner Richard Garver, a Precinct 1 town meeting member, led the meeting. The small audience included Luis DiazGranados, whose property improvement on Perry St. has been the commission’s only full case so far. It took nearly a year to resolve, making Mr. DiazGranados interested in procedures that can simplify and shorten the work. Public presence: Commissioners reviewed with Ms. Hardwicke descriptions of the commission’s functions on the municipal Web site. As a departmental mission, it is nearly invisible–buried three levels beneath the Planning Department’s main page: under Regulation, then under Preservation. As a commission of volunteers, the commission’s Web page can be found from its listing on the Boards and Commissions page. In Brookline’s neighborhood conservation approach, each district has a section in Article 5.10 of Brookline’s general bylaws, found under 5.10.3.d “specific districts and guidelines.” Probably only a professional planner or a municipal lawyer could readily understand the complex structure. There is no guidebook to advise citizens or neighborhoods about how to create or modify a district or how to work with an existing district and its requirements. As he recently did at a meeting of the Board of Selectmen, commissioner Dennis DeWitt suggested the commission develop a menu of options for districts, to make it easier for neighborhoods to create them. There are currently two districts: Hancock Village, created at the fall, 2011, town meeting, and Greater Toxteth, created at the annual town meeting last year. The commission page on the municipal Web site currently links to a map for Greater Toxteth and to a narrative explaining that district’s background and its requirements for property improvements. There are no links to similar information for the Hancock Village district. Procedures and policies: A committee has been working with Ms. Hardwicke and other staff of the Planning Department on procedures and policies. The property improvement case on Perry St. taught that neighborhood conservation cases are likely to involve zoning issues. Ms. Hardwicke described two new potential cases, at least one of which involves zoning issues. Some confusion occurred over the draft procedures and policies, yet to be posted on the municipal Web site. It emerged that there have been multiple versions in circulation, and no one was sure which was the latest. Ms. Hardwicke is going to try to collect the ones developed during her absence and schedule a committee session to review them. Part of the documentation of the Greater Toxteth district has yet to be completed, including pictures of existing houses and other structures. Ms. Hardwicke said warmer weather was rapidly bringing out leaves on trees and shrubs. She and district resident Larry Koff will try to complete the photography in the next few days–a race against spring! This entry was posted in Meetings, Neighborhoods, Regulations on April 28, 2015 by Craig Bolon. Discounting pleas from around Brookline Village to protect the neighborhoods, a unanimous panel of the Zoning Board of Appeals granted a special permit to New England Treatment Access (NETA), now headed by Arnon Vered of Swampscott. It allows the firm to locate a registered dispensary of medical marijuana on the former site of the Brookline Savings Bank at 160 Washington St. in Brookline Village. The former bank building enjoys a regal view of historic Village Square, the intersection of Boylston, Washington, High and Walnut Sts. and the former Morss Ave. Built in Beaux Arts style, it has an exterior of gray sandstone and rose marble. The 20-ft high interior features mahogany panels and columns and a glass dome. The bank vaults remain in working condition. When the Brookline Savings Bank moved in 1922 from its former location at 366 Washington St.–across from the main library–to new headquarters at 160 Washington St., Village Square was the commercial heart of Brookline. Streets were striped with trolley tracks in five directions–up Brookline Ave. into Boston, along the former Worcester Turnpike, now Route 9 connecting Boston with Newton, and up Washington St. through Harvard Sq. of Brookline to Washington Sq. and Brighton and through Coolidge Corner to the Allston Depot of the Boston & Albany Rail Road. The bank property, as shown in a 1927 atlas, was one lot of 6,509 sq ft, with a few parking spaces in the back–located near what was then the Brookline Branch of the Boston & Albany Rail Road, now the Riverside (D) branch of the MBTA Green Line. Its neighbors were a bustling variety of businesses and residences, as well as industry and culture: Boston Consolidated Gas, Holtzer Cabot Electric, Metropolitan Coal and Lyceum Hall. Now most of that context has been lost to redevelopment. The Colonnade Buildings a block up Washington St. can remind one of a former age. The hearing began at 7 pm Thursday, April 23, in the sixth-floor meeting room at Town Hall. There were several business representatives and lawyers, plus an audience of around 40. From the outset, opponents of the permit appeared to outnumber supporters. The background had been an election, two town meetings and more than 20 local board and committee hearings and reviews. Other steps remain ahead for the dispensary to operate. Business plans: NETA was represented by Franklin Stearns from K&L Gates in Boston and by Norton Arbelaez, a lawyer who works with registered dispensaries of medical marijuana. According to Rick Bryant of Stantec in Boston, who advises NETA on transportation issues, the company expects to distribute about 4,000 pounds of marijuana products a year from the Brookline location. At a typical price of $300 an ounce, reported from states where similar dispensaries now operate, that could provide gross revenue around $20 million a year from a Brookline operation. Company representatives confirmed that the company plans to operate from 10 am to 7 pm every day of the week. That could result in more than $50,000 a day in Brookline-based transactions. According to Mr. Bryant, estimates derived from a dispensary in Colorado indicate a peak of about 30 customer visits to the site per hour. The former Brookline Savings Bank site now includes an adjacent lot to the north, 3,154 sq ft under common ownership, where a building present in 1927 has been removed. That provides most of the land for 11 parking spaces that were diagrammed in NETA plans. Mr. Bryant predicted peak usage of eight parking spaces, but all those on site are to be reserved for customer use. NETA also showed two spaces sized for handicapped parking on an adjacent lot to the west, at 19 Boylston St. That property houses a Boston Edison electric substation, owned by a subsidiary of Eversource. According to Mr. Stearns of K&L Gates, NETA will open a production facility in Franklin, MA, and another registered dispensary in Northampton. All deliveries are to depart from the Franklin site, not from Brookline or Northampton. Questions: The Appeals panel for this hearing consisted of Jesse Geller, a lawyer who is the board’s chair, Christopher Hussey, an architect, and Avi Liss, a lawyer. Mr. Hussey led questions, asking about security plans. Mr. Arbelaez described procedures and facilities, including a “secure vestibule” for entry to the service facilities, with a security officer and a parking attendant on duty during business hours. Mr. Liss asked about other potential Brookline locations. Mr. Stearns said several had been investigated, one near the intersection of Beacon St. and Summit Ave. Some property owners, he said, would not lease or sell, while circumstances at other locations proved less suitable. Mr. Hussey asked about apparently recent changes to parking plans. Mr. Stearns said NETA had responded to comments from the Planning Board. Over 20 spoke in opposition, many living or working within several blocks of the bank site or representing them. Art Krieger, of Anderson and Krieger in Cambridge, spoke on behalf of nearby business owners–including Puppet Showplace, Inner Space, Groovy Baby Music and Little Children Schoolhouse. Citing general requirements for a special permit, he said the site was not an appropriate location, that the business would adversely affect neighborhoods and that it would create a nuisance. Mr. Krieger tried to invoke default regulations for a dispensary that apply when a community does not create its own. Brookline, he said, does not set minimum distances from “places where children congregate,” comparable to state defaults. Mr. Liss of the Appeals panel disagreed. “I read it differently,” he said, “because there’s a local bylaw.” Brookline’s bylaw prohibits dispensary locations in the same building as a day-care facility. Mr. Krieger called reliance on traffic data from a dispensary in Colorado “faith-based permitting.” Parking at the former bank site, he claimed, “will cause safety problems for vehicles and pedestrians…much more traffic throughout the day than the bank.” Issues of traffic and parking were to recur several times in comments from opponents, as predicted by Ms. Costolloe. Historic site: Merrill Diamond, a former Brookline resident and a real estate developer, took a different direction. Mr. Diamond is well known for historic preservation and adaptive reuse. Among his local projects have been the Chestnut Hill Waterworks and Kendall Crescent–repurposing the historic Sewall School and Town Garage along Cypress, Franklin and Kendall Sts. Mr. Diamond regretted reuse of the former Brookline Savings Bank site for a dispensary, saying he had tried to start a more creative project combining residential and retail spaces. His bid on the property was rejected, he said, because it did not commit to an early closing date. If the proposed dispensary doesn’t open, he said he will submit another bid. George Vien of Davis Ave., a former federal prosecutor, tried last fall to change Brookline’s zoning standards for registered dispensaries of medical marijuana, bringing a petition article to town meeting. He argued vigorously against what he called “violating the schoolyard statute,” distributing marijuana “within 1,000 yards of a playground, school or public housing project.” Town meeting was told the arguments were questionable and that any risks applied to dispensary operators, not to the town. It declined to change zoning standards. Angela Hyatt of Walnut St., an architect who is a Precinct 5 town meeting member and a member of the Advisory Committee, lives about a block from the former bank site. She criticized the plans, particularly plans for parking, as “inaccurate and misleading.” She noted that slope and driveway width do not meet zoning standards. However, parking at the site reflects usage and designs that pre-date Brookline’s zoning requirements, so that they are “grandfathered” unless basic use of the site changes–for example, from retail to residential. Virginia LaPlante, a Precinct 6 town meeting member, had similar reactions, calling it a “fantasy talking about cars parking there…We were misled in town meeting. I voted for medical marijuana.” Ms. LaPlante said NETA “could have an office in 2 Brookline Place” (a planned 8-story office building). “I’m sure Children’s Hospital would welcome them there.” At a meeting last year, a NETA representative said Children’s Hospital had rejected the firm as a potential tenant. Hospital physicians announced a policy against prescribing medical marijuana. Reaching a decision: After more than two hours of discussion, finding no one else wanting to speak, Mr. Geller closed the hearing. The Appeals panel began to weigh the arguments. Mr. Liss said potential security issues were not a matter of zoning but of management. They would need to be reviewed with an application for an operating license, to be heard by the Board of Selectmen. Annual operating reviews would be able to consider problems and revoke a license or add conditions. Mr. Geller said that when enacting zoning allowing a dispensary, town meeting “passed judgment on the risk level.” Traffic hazards were being mitigated by an approved transportation demand management plan. The site is appropriate, he said, “secure, contained…isolated by surroundings…This building could be used for a better purpose, but that’s not a standard under the [zoning] bylaw.” The panel agreed and approved the permit. This entry was posted in Business, Elections, History, Licensing, Meetings, Neighborhoods, Parking, Regulations, Traffic on April 25, 2015 by Craig Bolon. A regular meeting of the Board of Selectmen on Tuesday, April 21, started at 6:30 pm in the sixth-floor meeting room at Town Hall. The board heard from applicants for permits and from petitioners for town meeting articles. It began with the several-years tradition of “announcements” from departing board member Betsy DeWitt. Key among them this week was celebration of a new landmark. Landmarks: Ms. DeWitt, who has a longstanding interest in Brookline history, announced that a Brookline site had recently been named a national historic landmark, the town’s fourth. It is the Brookline Reservoir–located along the former Worcester Turnpike, now Boylston St. and MA Route 9, between Lee and Warren Sts.–along with the 14-mile Cochituate Aqueduct, connecting it with man-made Lake Cochituate in Natick. The Brookline Reservoir and Cochituate Aqueduct were the first major expansion of the Boston-area water works, which later came to include the Chestnut Hill Reservoir and the Fisher Hill Reservoir. The Brookline Reservoir and Cochituate Aqueduct are the earliest intact example of a reliable, metropolitan water system for a major U.S. city. They operated in full service from 1848 through 1951. In mid-nineteenth century, when the aqueduct and reservoir were built, Boston-to-be was a conglomerate of a growing small city and nearby towns–including Brighton, Charlestown, Dorchester, Roxbury and West Roxbury, which included Jamaica Plain after 1850. Between 1868 and 1873, these towns agreed to merge with Boston. An 1873 Brookline town meeting refused to join, putting an end to Boston expansion except for Hyde Park in 1912. The aqueduct and reservoir remained key elements of the city’s water supply until the construction of the Quabbin Reservoir, during the Great Depression, and of the Hultman Aqueduct, in the 1940s. Two of Brookline’s three older national landmarks are well known: the birthplace of former Pres. Kennedy, at 83 Beals St., and the former home of Frederick Olmsted, Sr., the pioneering landscape architect, at 99 Warren St. For some obscure reason, Ms. DeWitt would not describe the other landmark site. The third older landmark is the former residence of George R. Minot (1885-1950) of Harvard Medical School, for whom the Minot Rose Garden on St. Paul St. was named. Anyone with Internet access can easily locate the site at 71 Sears Rd., now occupied by unrelated private owners. Prof. Minot became the first winner of a Nobel prize to live in Brookline. In the mid-1920s, Prof. Minot, George H. Whipple of the University of California Medical School and William P. Murphy of Harvard Medical School found that Addison’s disease, a fatal condition then called pernicious anemia, was associated with a dietary factor. They discovered it could often be controlled by adding a water-soluble extract from liver to the diet. The three were awarded the Nobel prize in medicine for 1934. In the late 1940s, the active dietary substance was isolated; it is cobalamin, also known as vitamin B-12. Contracts, personnel and finances: The board approved $0.08 million in contract additions for storm-sewer repairs with Beta Group of Norwood, also the town’s consultant for storm-water issues during review of a proposed Chapter 40B development at Hancock Village. The contract is part of a continuing program to reduce infiltration and leakage. This year’s repairs affect Addington Rd., Summit Ave. and Winchester St. Peter Ditto, the director of engineering, said he expects the state to reimburse about 45 percent of the cost. Joslin Murphy, the town counsel, got approval to hire an associate town counsel. The position became available after promotion of Patricia Correa to first assistant town counsel. Members of the board expressed appreciation for Ms. Correa, one of the few Brookline senior municipal staff fluent in Spanish. Ms. Murphy said she would be searching for expertise in construction and school law. Ken Goldstein, the board’s outgoing chair, omitted the usual request to seek a diverse pool of candidates. Erin Gallentine, the director of parks and open space, presented a plan for improving the Olmsted park system shared with Boston, also called the “emerald necklace.” It is partly based on a survey of over 7,000 trees in about 1,000 acres of park land. Board member Nancy Daly asked what the plan would cost to implement. Ms. Gallentine estimated about $7.5 million for the total plan and $0.5 million for the Brookline portion, spread over several years. Ms. Gallentine expects private fund-raising to cover a substantial part of costs. The board voted to approve an agreement with the Emerald Necklace Conservancy of Boston to begin work. The board has not published a statement of the work to be performed, which is supposed to become Exhibit A of the agreement, or evidence of insurance from the conservancy, which is supposed to become Exhibit B. Permits and licenses: Hui Di Chen of Melrose, formerly involved with Sakura restaurant in Winchester and proposed as manager of Genki Ya restaurant, at 398 Harvard St., asked to transfer licenses held by the current manager. This had been continued from February 17, when Mr. Chen was not able to answer some of the board’s questions. Since then, he also applied for outdoor seating. This time he appeared well prepared. The board approved all five licenses requested. Board records continue to contain misspellings of names. 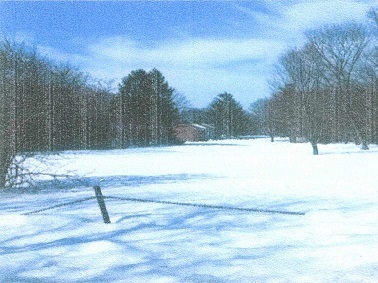 Andrew Gordon of Boston applied for a permit to operate an open-air parking lot at 295 Rawson Rd. The parking lot for 20 cars was created in 1977 under a special zoning permit. Located below Claflin Path and behind houses on Rawson Rd, it has access to Rawson Rd. through an easement between two houses. Mr. Gordon has agreed to buy it from the current owner. Alison Steinfeld, the planning director, had sent a memorandum saying the department “was not aware of any problems,” but neighbors and abutters said that they certainly were. About 20 of them came to the hearing, and several spoke. They described problems with access and snow clearance. This past winter, they said, problems became extreme, with access to the lot dangerous or blocked for weeks. The current license, through June 30, requires the operator to “keep the entrance and parking spaces passable and clear of excess snow at all times.” Neighbors also objected to parkers using Claflin Path, a private way, for access to the lot. Board member Neil Wishinsky said that might constitute trespassing and said owners of Claflin Path might consider a fence. It was not clear whether a “doctrine of adverse possession” might apply. Others described the lot as currently “striped for 30 cars.” Communications from the building and planning departments did not reflect knowledge of conditions. Through a spokesman, Mr. Gordon agreed to observe the 20-car capacity. With uncertainty over conditions, the board decided to continue the hearing on April 28. Town meeting controversy: The board reviewed several articles for the annual town meeting starting May 26 and voted recommendations on some, including Article 9, which would make elected federal and state officials living in Brookline automatic members of town meeting. The Advisory Committee considered the article April 14 and voted unanimously to oppose it. Town meetings are the legislative bodies of towns. In larger towns with representative town meetings, town meeting members are elected to represent voters, mostly on local issues. Holders of elected federal and state offices represent voters on different issues. U.S. senators and representatives–as well as the state’s governor, lieutenant governor, attorney general and so on–are mostly elected by voters living somewhere other than in one particular town. None of that seemed to matter to members of the Board of Selectmen, who spoke in terms of social relations and potential influence with officials who might qualify as Brookline town meeting members. They voted to support the article. Such thinking has long been common among members of the board, but over the years town meeting members have seen things differently, voting to trim back the number of automatic town meeting members. Board members voted to support Article 10, excluding from living wage coverage some seasonal jobs in the recreation department but keeping a one-dollar premium over minimum wages. Disagreement with the Advisory Committee remains over which jobs would continue to be covered by Brookline’s living wage bylaw. As nearly everyone expected, board members voted to support Article 11, proposing a Crowninshield local historic district. After a skeptical review by an Advisory subcommittee, petitioners for Article 17, a resolution advocating changes in policy for Chapter 40B projects, agreed to refer the article to the Planning Board and the Housing Advisory Board. An approach of further review now has support from both the Board of Selectmen and the Advisory subcommittee on planning and regulation, which takes up the article again April 23. Article 18 proposes a resolution seeking a study of acquiring Hancock Village buffers, mostly behind houses on Beverly and Russett Rds., for park and recreation purposes. Members of the board expressed concern over involvement in lawsuits against Hancock Village owners over a proposed Chapter 40B housing development. Voting on a motion to support Article 18, Ken Goldstein, the chair, and board members Nancy Daly and Neil Wishinsky abstained. The motion failed for lack of a voting majority, leaving the Board of Selectmen taking no position on this article. No Boston Olympics: Article 19 proposes a resolution against Olympic games in Boston. urging officials who represent Brookline to reject the proposal for 2024 Olympics. Christopher Dempsey, a Precinct 6 town meeting member, spoke for the article. He is co-chair of a group called No Boston Olympics working to defeat the proposal. The City Council of Cambridge has already passed a resolution similar to Article 19. Olympics opponents point to $50 billion for the Olympics in Japan–largely at government expense. They argue that a Boston Olympics would bleed state and local governments and usurp public roads and property for weeks to years. Some members of the Board of Selectmen appeared uninformed and wary of the issue, but Nancy Daly said, “I’m against the Olympics.” No representatives of the pressure group pushing for the Olympics showed up, and the board decided to reach out to them and defer voting a recommendation on the article. Adam Vaccaro, They just don’t want the Olympics, Boston Globe, April 2, 2015. A rambling, chatty account bloated with gossip. This entry was posted in Business, Development, Environment, Events, History, Housing, Licensing, Meetings, Parking, People, Services, Sports, Taxes, Traffic on April 22, 2015 by Craig Bolon. The North Brookline Neighborhood Association (NBNA) held a public meeting starting at 7 pm Wednesday, April 15, in the Sussman House community room at 50 Pleasant St., focused on improvements for the Coolidge Corner area. Founded in 1972, NBNA is now one of Brookline’s older neighborhood associations. By population it is the largest, serving an area between Beacon St. and Commonwealth Ave. and between Winchester and Amory Sts. The NBNA meeting drew an audience of near 30, more than half of them town meeting members from Precincts 2, 3 and 7-11. After an introduction by Charles “Chuck” Swartz, a Precinct 9 town meeting member and a member of the Advisory Committee, Kara Brewton, the economic development director in Brookline’s planning department, made a presentation and led discussion. Waldo St.: Ms. Brewton described elements of what she called a “5-year plan” for Coolidge Corner improvements, mentioning a customer survey, gardening projects and interest in the future of the Waldo St. area. Waldo St. is a short, dead-end private way extending from Pleasant St. opposite Pelham Hall, the 8-story, 1920s, red brick apartment building at the corner of Beacon and Pleasant Sts. Not recounted by Ms. Brewton at this particular meeting was the controversy several years ago when a would-be developer proposed to replace the now disused Waldo St. garage with a high-rise hotel. While a hotel might become a good neighbor and a significant source of town revenue, the garage property did not provide a safe site. Street access is constricted, and emergency vehicles might be blocked. Permits were not granted. Also not recounted by Ms. Brewton at this meeting was current Waldo St. ownership, with the garage at the corner of Pleasant and John Sts. now in the hands of the owners of Hancock Village. They are involved in a protracted dispute with the Brookline Board of Selectmen, after applying to build a large, partly subsidized housing development, trying to override Brookline zoning using powers under Chapter 40B of the General Laws. These matters were well known to nearly all present. By skirting them, Ms. Brewton signaled that she preferred to avoid frank discussion of local conflicts. Her presentation was being observed by a member of the Economic Development Advisory Board, for whom she provides staff support. That left a constrained but still sizable clear space for group discussion. Survey: Ms. Brewton described a 2014 consumer survey in Coolidge Corner, coordinated by the Department of Planning and Community Development. She said the survey had tallied “a few thousand responses,” that it showed who visits the area for what purposes, that a little over half of the respondents lived in Brookline and that their most frequent activity was buying food. Stanley Spiegel, a Precinct 2 town meeting member and a member of the Advisory Committee, asked whether the survey had investigated lack of parking. Ms. Brewton said, “Customers find it hard to find parking.” She said the survey found about a third of respondents drove a car to Coolidge Corner and those who did tended to spend more money in the shops. Ms. Brewton said that current priorities for her division, informed by the customer survey, were focused on three concerns: (1) the mix of business, (2) the public spaces and (3) parking. Asked what she meant by “the mix of business,” she mentioned that there was currently no “ordinary clothing store.” It was not obvious what that meant either, since The Gap has a Coolidge Corner location and several other shops also sell clothing. Coolidge Corner has lacked a full-service clothing store since the former, 3-story Brown’s, at the corner of Harvard and Green Sts., burned in the 1960s. McDonald’s took over the property, building a one-story shop with distinctive arch windows that became a prototype for the company’s urban expansion. With McDonald’s gone since 2007, the shop with arch windows has been subdivided into spaces occupied by a pizza parlor and a branch bank. Parking: Ms. Brewton described plans underway to “improve” Coolidge Corner parking. The two lots on Centre St., she said, “are in bad shape,” with no major maintenance since 1965. That was when Brookline took property by eminent domain and tore down structures to build and enlarge current parking lots located off Centre, Babcock, John and Fuller Sts. David Lescohier, a Precinct 11 town meeting member, mentioned efforts to develop solar power canopies for the Centre St lots. Her department, Ms. Brewton said, is “trying to get $100,000 for planning” parking improvements. However, alternatives for Centre St. parking lots have already been planned. A comprehensive study was performed for the planning department in 2007 by Traffic Solutions of Boston. An illustrated report is available on Brookline’s municipal Web site. While she left an impression of some future fund-raising, what Ms. Brewton was talking about turned out to be Item 6 in Article 8 on the warrant for the 2015 annual town meeting, starting May 26. She showed a drawing of what she called a “parking deck” over the northwesterly three-quarters of the large Centre St. parking lot. That currently has five herringbone rows of 25 to 30 angled parking spaces each. A 4-story parking garage would probably become the largest building in the block and the tallest except for the S.S. Pierce clock tower. It would likely be constructed as a wall of masonry along Centre St., a half block from the house at the corner of Shailer St. where Mr. Swartz and his wife live. It could swell public parking off Centre St. from a current total of about 200 spaces to 500 or more spaces. It is not clear how the Centre St. parking project Ms. Brewton described reconciles with a “5-year plan” dated March 5, 2012, currently available from the Brookline municipal Web site. That plan does not call for any new or expanded parking facilities, nor does it call for a “planning” effort focused on parking. The only parking improvements it anticipates are described as “signage for cultural institutions & parking lots,” a $46,000 estimated cost. Gardening: Participants at the NBNA meeting were eager to hear about plans for landscaping and gardening. Many felt the area had been neglected in recent years. Unfavorable comparisons were noted with some commercial areas in Boston and Somerville. Ms. Brewton plans to coordinate a “gardening event” from 8 to 10 am on Saturday, May 16. She can be contacted at 617-730-2468. Some of the town’s attempts at improvements didn’t impress. Frank Caro, a Precinct 10 town meeting member, referred to structures in the small triangle at the intersection of Pleasant and Beacon Sts. as “the volcano,” saying it was easy to trip over masonry edging. Rita McNally, a Precinct 2 town meeting member, was concerned about maintenance of plantings. Jean Stringham, a Precinct 3 town meeting member, noted some shop or property owners had already set out flowers. She recalled daffodils near the Brookline Bank. Ms. Brewton said there were more near Pelham Hall. Mr. Swartz said lack of water faucets along the street could be a barrier to maintenance. There was mention of a water truck the town has sometimes provided. Dr. Caro said results by neighbors with landscaping near the Coolidge Corner library were much improved after Public Works installed sprinklers. Carol Caro, also a Precinct 10 town meeting member, said she hoped for improvements to tree wells, mentioning a recently introduced protective material. Linda Olson Pehlke, a Precinct 2 town meeting member, expressed interest in working on the small park spaces along John St.
NBNA activists decided to focus on a small triangle at the northwest end of the large Centre St. parking lot. Currently, it is eroded and mostly barren. Ms. Brewton said she would see if Public Works could harrow and level the ground. Mr. Swartz agreed to coordinate NBNA efforts. Participants began making plans for mulching and planting. This entry was posted in Business, Development, Environment, Events, History, Housing, Meetings, Neighborhoods, Parking, People, Projects, Transportation on April 19, 2015 by Craig Bolon. The Advisory Committee met Tuesday, April 7, Thursday, April 9, and Monday, April 13, starting at 7:30 pm in the first-floor south meeting room at Town Hall. Review season for this year’s annual town meeting is underway, with many committee members attending four or more meetings a week. According to the chair, Sean Lynn-Jones, a Precinct 1 town meeting member, the committee has begun to address a backlog of missing meeting records. Human services: The most recent Advisory session, on Monday, was human services night, reviewing the Library budget and the two “water” articles. With subcommittee chair Sytske Humphrey absent, subcommittee member David-Marc Goldstein, a Precinct 8 town meeting member, reviewed the library budget with Sara Slymon, the library director, and Michael Burstein, chair of the Library Trustees. Lea Cohen of Beacon St., not a town meeting member, reviewed Article 13, about water service in Brookline restaurants. Robert Liao of Meadowbrook Rd., not a town meeting member, reviewed Article 14, seeking to ban bottled water on town property and in the town budget. Jane Gilman and Clinton Richmond, town meeting members from Precincts 3 and 6, responded for the petitioners who submitted those articles. Water aerobics: The subcommittee on human services had reviewed the “water” articles the previous week and was recommending no action on both. With Mr. Lynn-Jones out-of-town, Carla Benka, vice chair of the committee, led the meeting. She allowed Ms. Gilman and Mr. Richmond another bite of the apple, rehashing most of their arguments and taking up nearly two hours. After heavy weather the previous week, at the Board of Selectmen as well as the subcommittee, Ms. Gilman and Mr. Richmond tried a tactical retreat on Article 14. That would have removed about three-fourths of the proposed bylaw, including its key feature: generally banning the sale and distribution of bottled water on town property. What remained would have forbidden spending for bottled water and stocking it in vending machines, under most circumstances. Committee members wrestled with alternatives, offering motions to chop still more out of the proposed bylaw and to refer it to a committee appointed by the Board of Selectmen. Ms. Benka struggled in parliamentary muddle. A motion for bylaw surgery from Alisa Jonas of Precinct 16 failed: 2 in favor, 15 opposed and 1 abstaining. A motion to refer from Michael Sandman of Sewall Ave., not a town meeting member, also failed: 4-13-1. A motion on behalf of the subcommittee for no action passed: 16-2-0. That became the Advisory Committee recommendation to town meeting. Stanley Spiegel of Precinct 2 suggested the committee consider use of funds for bottled water when it reviews conditions of appropriations for town budgets. The committee had less trouble with Article 13, a proposed bylaw change requiring tap water to be available in Brookline restaurants. Ms. Gilman and Mr. Richmond still could not cite a Brookline restaurant that did not offer it. By a unanimous vote, the Advisory Committee is recommending no action on Article 13. Lecture series: At its April 7 and 9 meetings, the committee heard lectures on fiscal rectitude from Stephen Cirillo, the finance director, from Melissa Goff, the deputy town administrator, and from Mel Kleckner, the town administrator. They were probably inspired by an unusual generous committee approach this year, boosting rather than cutting budgets. The program budget presented by Mr. Kleckner and his staff last February showed $682,000 in cuts to municipal services within the base budget, without an override. School budgets would benefit from a corresponding boost, while observing “Proposition 2-1/2″ tax limits. School staff and the School Committee are hardly celebrating. Their base budget, without an override, involves cuts totaling $1.16 million from current school programs, despite a $0.68 million transfer from municipal accounts. Some long-time observers say Advisory budget turbulence stems from a confluence of weather systems: traditional town liberalism mixing into traditional town conservatism that sees unwarranted trimming of municipal resources in order to enlarge school accounts. Practicing freedom of speech, some Advisory Committee members have taken to sporting campaign buttons advertising their factions on the budget override that the Board of Selectmen has proposed to voters at May 5 town elections. At the April 9 meeting, Mr. Kleckner let a cat out of the bag. It was “very distressing,” he said, “to hear some of this disagreement.” The “elected officials” have a right “to make those judgments.” In the context, Mr. Kleckner was clearly referring to members of the Board of Selectmen, who hire and fire town administrators. He might know something about perils of town administrators, through past service to the fairly conservative Town of Winchester and Town of Belmont. Somehow, Mr. Kleckner didn’t seem to appreciate at the moment that elected members of town meetings–and not members of boards of selectmen–appropriate all town funds. For the Advisory Committee of Brookline, charged by law with proposing annual appropriations to our elected representative town meeting, that is just Politics 101. Committee members welcomed Mr. Kleckner to Brookline with some choice remarks. During the lecture series, the need advertised for fiscal probity was to protect the town’s credit rating, but at the April 7 meeting Gary McCabe, the chief assessor, had undercut some of those arguments. He revealed that about $1.1 million stands to be available from overlay accounts for 2009 and prior years. So far, the Advisory Committee’s budget votes would restore about $0.3 million of municipal base-budget cuts, well within amounts Mr. McCabe described as available, outside usual credit-rating factors. This entry was posted in Business, Elections, Environment, Events, Grade schools, High school, History, Meetings, People, Public health, Services, Taxes on April 14, 2015 by Craig Bolon. The Advisory subcommittee on human services met at 5:30 pm Tuesday, April 7, in the third-floor employees’ room at Town Hall. The agenda was two articles for the spring town meeting intended to promote the use of tap water over bottled water, submitted by Jane Gilman and Clinton Richmond, town meeting members from Precincts 3 and 6. They have been active in the “green caucus” within Brookline town meeting and are currently co-chairs. The hearings on these articles drew a large group for an Advisory subcommittee: six senior town staff and at least 15 town residents. All the subcommittee members were on hand: Sytske Humphrey of Precinct 6, the chair, Lea Cohen of Beacon St., not a town meeting member, David-Marc Goldstein of Precinct 8 and Robert Liao of Meadowbrook Rd., not a town meeting member. Water service at restaurants: Article 13 for the 2015 annual town meeting, scheduled to start May 26, proposes to amend a Brookline bylaw by requiring tap water to be available to customers at restaurants located in the town. However, as the explanation for Article 13 says, “Tap water is already available….” Subcommittee members were puzzled why petitioners thought a bylaw change was needed. Alan Balsam, the public health director, called tap water service in Brookline restaurants “not much of a problem.” Owners of one restaurant, he said, “think they can charge for water.” Ms. Humphrey asked whether petitioners might be interested in substituting a resolution for the proposed bylaw change, in support of an “educational” effort to encourage use of tap water. Mr. Richmond said, “No.” Committee members were not persuaded of a need for a bylaw change and voted unanimously to recommend no action on Article 13. Selling or distributing bottled water: Article 14 for the spring town meeting proposes a new bylaw making it illegal to “sell or distribute” bottled water at an “event” held on “town property,” including a street. If you were to take along a bottle of water to Brookline Day at Larz Anderson, for example, and you distributed some of it to friends, under this law you would apparently be liable for a fine of $50 to $100. Petitioners defended their article, estimating waste generated in Brookline at around a million plastic bottles a year. Mr. Richmond ridiculed the brand Fiji Water, in particular–denouncing abuse of natural resources in “hauling water 8,000 miles” to Brookline. Although the water bottles, made of polyethylene terpthalate, can be recycled as Type 1 plastic, Mr. Richmond claimed less than 20 percent went into blue recycling bins. He may not have known that, because of low industrial materials prices, most or all of those have reportedly been burned in incinerators recently rather than recycled. Potential problems: As an example of potential problems, Dr. Balsam brought up outdoor restaurant seating during warm weather. Some such seating is on privately owned property and would be exempt. Other seating is on town sidewalks and would be restricted. There may be no visible marks showing which is which. Dr. Balsam also warned about adverse consequences, including substitution of sugared beverages, which have been associated with increasing trends of obesity and diabetes. Donald Leka, a Precinct 3 town meeting member, said the growth in bottled water sales has been driven by aggressive advertising. He suggested an educational effort rather than a bylaw, to combat abuse of resources. Mr. Richmond had said he was “not a public health expert.” As he described it, the petitioners were putting forth ideas and would rely on town boards and staff to find and solve problems. Ms. Humphrey, the subcommittee chair, read a letter from Mariah Nobrega, a Precinct 4 town meeting member, expressing concerns over conflicts with athletic events bringing teams from other communities to Brookline. She recommended referring Article 14 to a task force, in order to sort through problems and develop solutions, but Mr. Richmond and Ms. Gilman said they did not want a referral. A troubled love affair: Recent town meetings eagerly endorsed some “green caucus” proposals. In this case, discussion found the subcommittee members concerned about the environmental issues advanced by the Article 14 petitioners but unconvinced that the proposed bylaw offered a workable solution. The subcommittee members voted unanimously to recommend no action on the article. With back-to-back rejections from a subcommittee usually inclined to support its goals, the “green caucus” in town meeting looks to have tried “a bridge too far.” The strategy it used in previous efforts to ban plastic products may have reached a limit, with town boards and committees starting to expect proponents to do their homework and develop practical solutions, rather than simply write up ideas and look to others for the heavy lifting. Billy Baker, Brookline finds plastic bottle ban a thorny issue, Boston Globe, April 12, 2015. A grammatically and politically challenged Boston writer visits next door. This entry was posted in Business, Environment, Events, Meetings, Public health, Regulations, Services on April 12, 2015 by Craig Bolon. On March 4 and April 8, the Baker administration published financial waypaths, setting out in slightly different directions. The March release was a traditional H.R. 1 bill in the General Court: the governor’s proposed budget. As usual, snoring news writers and soundbite junkies managed to miss much of what might matter. Transit stew: It should be unlikely for Baker years to achieve what a century of would-be reforms failed to get: a transit system becoming both reliable and affordable. Gov. Baker’s review panel was stuffed with shirts similar to ones staking out a dusty trail of failed reforms: politicians, bureaucrats and academics. Surprise…surprise. So how to fix the problems? Who will do the work? Apparent answers: “the Legislature” (most likely meaning the General Court, since we don’t have anything officially known as a Massachusetts “Legislature”). Ha ha ha ha–now, give us a break. Naming one of the major conspirators, the Baker panel proposes to put a fox in charge of a chicken barn. The Baker motif appears to read, “We won’t pay.” An obvious response from MBTA regulars, “We won’t work.” How to keep the trains and buses going while squeezing out featherbedding, sleazebags and graft always proved the conundrum. Nothing looks different now, and the game has always operated “advantage inside.” So far as we know, Gov. Baker does not take the T and will always be somewhere else. A sucker born every minute: Gov. Baker bids to apply “slash and burn” tactics he developed at Harvard Pilgrim to the Massachusetts state budget. His H.R. 1 bill would slash–that is, would zero out–100 of 785 master budget accounts for current fiscal year programs. It would add 18 new programs and burn taxpayers. The sum of the parts–lost on the spreadsheet-challenged news writers–is much bigger than advertised. News media nearly all swallowed and parroted the official Baker line: a “sustainable 3% increase.” Do the math. The proposed total for next year: $38,863,754,342–plus unknown increases from employee benefits and collective bargaining. Reported spending for the current fiscal year: $37,403,286,027–estimated as of some time this February. Into the weeds: Among the Baker slashees: account 7030-1002, Kindergarten Expansion Grants, $18,589,714 for the current fiscal year. Brookline’s share: about $250,000–expected to be gone as of next July. Another casualty: account 1595-6123, Community Preservation Act and Life Sciences, $22,779,000 for the current fiscal year. Stated reason: “Eliminated state subsidy.” Good luck to yokels who bought into labeling money through the Community Preservation Act. Brookline voters rejected it. The total of $196,641,681 is “paying them forward.” It represents just a tiny portion of the enormous overhang in retirement costs for state employees that “Generous Curt”–the Great and General Court–has been ladling out for decades but has rarely set aside money to cover. The Big Benny, though, is account 4000-0500, MassHealth Managed Care, $5,162,825,921 estimated for the current fiscal year and $5,931,539,597 proposed for the one starting in July. That is a 15 percent increase for the “Obama Care” type of program begun under Republican former Gov. Romney–in the name of cost control. It gets worse: account 1595-6369, Commonwealth Transportation Fund transfer to the MBTA, $122,552,622 estimated for the current fiscal year and $187,000,000 proposed for the one starting in July–a 53 percent boost. Who says, “We won’t pay”? Dan Ruppert, The Gravy Train, Trafford Publishing, 2002. Cronyism and corruption at the Long Island Rail Road in New York. This entry was posted in History, Services, Taxes, Transportation on April 9, 2015 by Craig Bolon. At its meeting last March 19, the Brookline Transportation Board announced a draft of new taxi regulations. A public hearing about them has now been scheduled for 7:25 pm on Thursday, April 9, in the basement Denny Room at the Health Center, 11 Pierce St.
Medallions in retreat: Draft taxi regulations from March make no mention of permanent “medallion” licensing–as practiced in New York, Chicago, Boston and several other large cities. Apparently that has become a dead issue in Brookline. At least nine years ago, Brookline began to investigate switching from its current, annually renewed taxi licenses to medallions, mainly in hope of a one-time windfall from selling medallions at high prices. After two studies, two town meetings and two “home rule” laws enacted by the General Court, the Transportation Board was planning to implement the change in July of last year. The board’s plans were derailed at last year’s annual town meeting, as a consequence of an article filed by Precinct 8 town meeting member John Harris. Mr. Harris proposed that town meeting ask the General Court to rescind the authorizations it had enacted. His article was referred to a study committee. At the end of a long, contentious review, no action occurred, but the process may have produced the effect Mr. Harris was seeking. Level fares but higher fees: The draft regulations leave the current fare structure unchanged. It is $1.50 for the first eighth mile or fraction plus $0.40 for each additional eighth mile and each minute of waiting time. The draft regulations would lower the annual license fee from $300 to $200 per vehicle per year but add a $75 fee for each of two inspections per year–a net increase of $50 per year per taxi. The annual fee to renew a taxi driver license would rise from $25 to $50. The controversy over medallions brought out concerns that current license fees fail to cover Brookline’s costs of taxi regulation. Stricter standards: The draft regulations propose stricter standards for vehicles and operations. Newly licensed vehicles would have to be no more than three years old. Currently they can be up to four years old. Instead of a maximum vehicle age of seven years, draft regulations require maximum operation of 300,000 miles. Taxi vehicles with ramps for people who use wheelchairs would be required, starting in July of next year. Operators would have to provide one such vehicle for every ten taxis. As partial compensation, the $200-per-year license fees would be waived for those vehicles. Identified by “WAV” licenses, the vehicles would be required to meet capacity and safety standards. Taxi meters would be required to be able to retain and print records of trips and to accept credit cards. Taxis would have to be equipped with EZpass transponders for use of the Turnpike, tunnels and bridges. Taxi drivers would required to attend driver training offered by Brookline’s police department and pass an exam. Taxi driver licenses would cease to be available to persons convicted of major offenses within the past seven years. Relaxed standards: Taxi companies and drivers would be allowed to supply post office box addresses, provided they are at Brookline offices. It is not clear whether a private business providing mail collection or forwarding would qualify. Taxis would be allowed to operate via “e-hail” dispatch as well as telephone and street hail. So far, neither the Transportation Board nor the Transportation Division in the Department of Public Works has distributed an explanation of the changes or of reasons for proposing them. A telephone call to Todd Kirrane, the transportation administrator, was not returned. This entry was posted in Business, History, Licensing, Regulations, Transportation on April 6, 2015 by Craig Bolon.